Choice engines—interactive, online tools that use machine-readable data to help consumers make more informed decisions — are a private-sector staple. E-commerce sites, e.g., Amazon and Netflix, famously use recommendation algorithms that help consumers decide what product to buy or what movie to watch based on millions of consumer reviews. But state regulators have largely overlooked these tools, instead focusing their efforts on making specific information available to consumers, such as airline baggage fees or home mortgage terms. Such disclosures can also lead to improved business practices, such as when food manufacturers reduced the amount of trans fat in their products after the Food and Drug Administration began requiring them to include this information on nutrition labels. However, regulators should also consider how they can unlock additional data sets to enable the development of sophisticated choice engines that help consumers make wiser purchasing decisions in areas of the economy where the market lacks transparency. Simple tools might bring together lots of useful data that consumers might otherwise not have at their fingertips when making a purchase. The National Highway Traffic Safety Administration runs safercar.gov, which helps drivers discover vehicle safety ratings, determine if a recalled used vehicle has been repaired and find the safest child car seat. More advanced tools help individuals understand complex data. For example, the company BrightScope harnesses a wealth of public data, like the 401(k) filings companies must submit to the U.S. Department of Labor, to produce independent ratings about the performance of retirement plans and financial advisers. These ratings help savers make better investment decisions, like learning how their employer’s retirement plan compares to others. While the federal government has led most smart disclosure efforts, including creating a presidential task force to explore this issue, states can do much more to promote market transparency by directly releasing the data they collect or facilitating the release of private-sector information about products and services. State insurance commissions, in particular, can adjust their practices to make detailed data about insurance products publicly available. As a 2014 UCLA Law Review article found, states have failed to create policies that would uncover key data about property, casualty and life insurance. For example, in most states consumers can’t compare the rate at which insurers deny claims or the kickbacks insurance agents receive for selling different products, even though state insurance commissions often collect this data. Nor can consumers easily compare competing insurance products because state insurance commissions don’t require that policy terms and conditions be made publicly available, much less posted online in a machine-readable format. As a result, third parties haven’t developed meaningful recommender systems to help consumers discover the best insurance products for their needs. The lack of data in this market limits the incentives that insurers have to deliver better products since consumers cannot easily compare insurers or reward those that offer the best products. This contrasts with other sectors where policymakers have prioritized transparency. The Consumer Financial Protection Bureau, for example, altered the competitiveness of the credit card market, in part, by creating a public database of credit card agreements. While states should take up the call for smart disclosures, they shouldn’t do it alone. Smart disclosures work best when consumers can access well designed choice engines, but policymakers shouldn’t reasonably expect third parties to develop separate choice engines for each state. Instead, states should work together, including through national forums like the National Association of Insurance Commissioners, to create common open data standards so a single choice engine can work for all governments. This way it’s easier for third parties to develop choice engines. 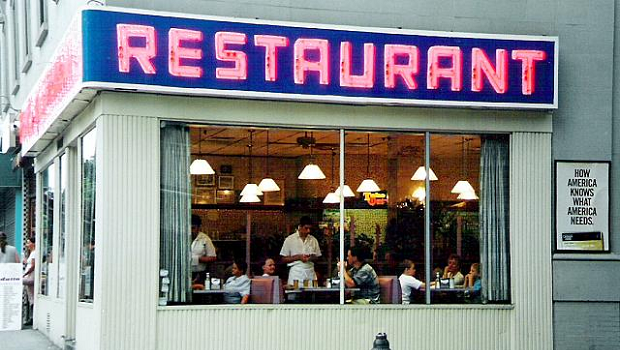 San Francisco and New York City proved the value of such partnerships when they jointly developed a single standard to publish restaurant inspection information. Websites like Yelp quickly integrated the data so consumers can consider health scores when choosing where to eat. Smart disclosures are not a panacea and can’t replace other consumer protection efforts, but they’re an important tool that policymakers should use to empower consumers.